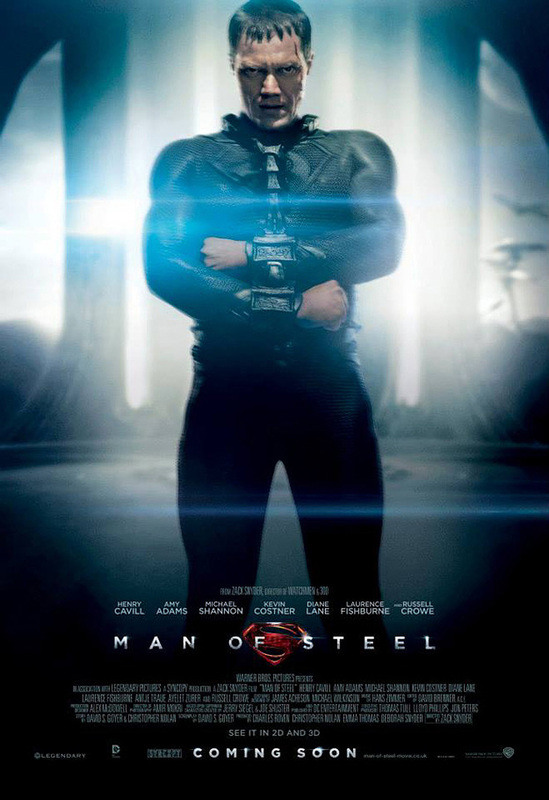 The character one-sheets individually feature Kal-el/Superman (Henry Cavill), Jor-el (Russell Crowe) and Zod (Michael Shannon), while the banners separately depict Superman and Zod in an airbone face off. 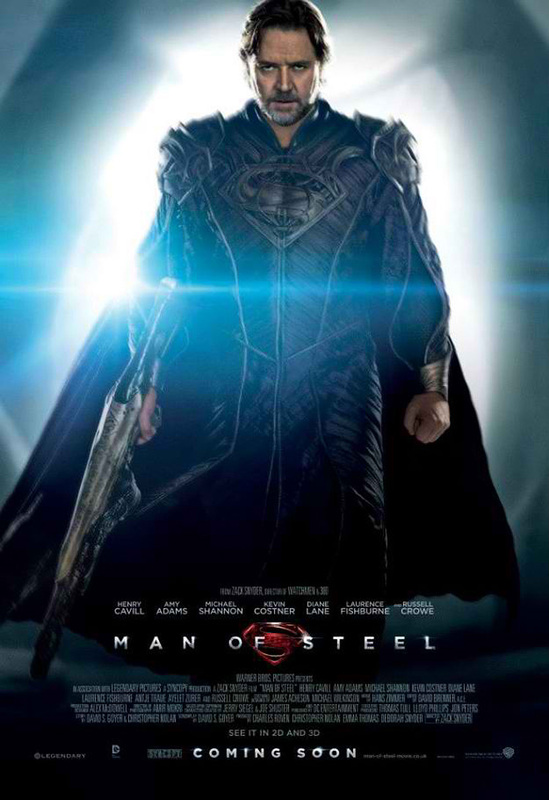 In “Man of Steel,” a young boy learns that he has extraordinary powers and is not of this Earth. As a young man, he journeys to discover where he came from and what he was sent here to do. But the hero in him must emerge if he is to save the world from annihilation and become the symbol of hope for all mankind. “Man of Steel” stars Henry Cavill in the role of Superman/Clark Kent, alongside three-time Amy Adams, Michael Shannon, Kevin Costner, Diane Lane, Laurence Fishburne, Antje Traue, Ayelet Zurer, Christopher Meloni, Harry Lennix, Michael Kelly, Richard Schiff and Russell Crowe. The film is produced by Charles Roven, Emma Thomas, Christopher Nolan and Deborah Snyder. The screenplay was written by David S. Goyer, from a story by Goyer & Nolan, based upon Superman characters created by Jerry Siegel & Joe Shuster and published by DC Entertainment. Thomas Tull, Lloyd Phillips and Jon Peters are the film’s executive producers. 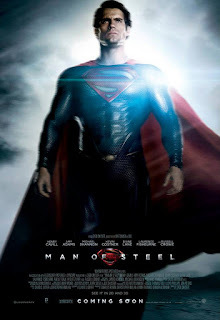 “Man of Steel” is slated for release in the Philippines on June 12, 2013 in IMAX 3D, Digital 3D and regular theaters and will be distributed worldwide by Warner Bros. Pictures, a Warner Bros. Entertainment Company.